Caleb Nitz is also a member of our ValMark Broker Dealer team. Caleb assists our clients in developing custom solutions for their complex life insurance and financial planning needs. 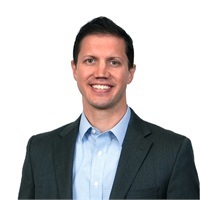 Caleb is a graduate of The University of Akron with a degree in finance and holds a Certified Financial Planner® designation as well as FINRA series 7 and 24 securities registrations. In his free time Caleb enjoys skiing, bicycling and volunteering with his wife, Hannah.